In this article we will discuss how to read the price trend (going up or down) by knowing the end of a forex trend movement. Which when there is a sign or trend signal will end, not long afterwards there will be a reversal of the previous trend (reversal). How to analyze or predict the trend will reverse, we will use technical analysis with trend reversal indicators. knowing when the trend moment will reverse, we can use it to take a new open position. And by knowing the trend movement will end, it can be used as a sign to close (open) the open position that was opened before. So that it can minimize losses and maximize profits. This forex trading strategy will use 5 Moving Average indicator lines so that the results are more accurate. And it is very effective to predict the reversal of the trend and know the signal that the trend is coming to an end. When the 3 Moving Average lines (Period: 5, 10.21) gather or cross each other and the three Moving Average lines are above the candlestick, then the right moment to take the Selling Option (SELL). When the 3 Moving Average lines (Period: 5, 10.21) converge or cross each other and the three Moving Average lines are below the candlestick, then the right moment to take Buy (BUY) Options. 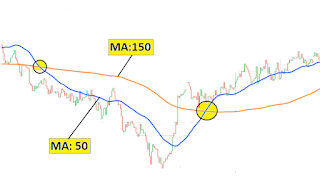 Well, if you already know and understand the use of the Moving average line above, then combine the 5 MA indicators. That's how to predict when there will be a change in trend direction or reversal using the Moving average indicator. 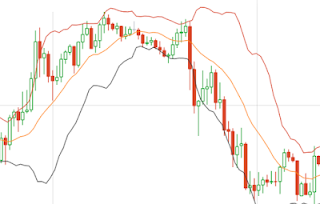 You can also combine with oscillator indicators such as RSI, Stochastic, MACD, etc. 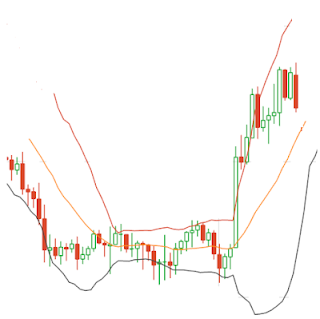 It is very easy and simple to predict the moment of change in trend direction by using the Bollinger bands indicator. You do this by paying attention to changes in shape on the Bollinger bands line and also the candlestick movements. The upper and lower lines begin to narrow, a sign that the trend is coming to an end. The candlestick starts moving across the center line from the bottom up. The candlestick starts moving across the center line from Top to Bottom. 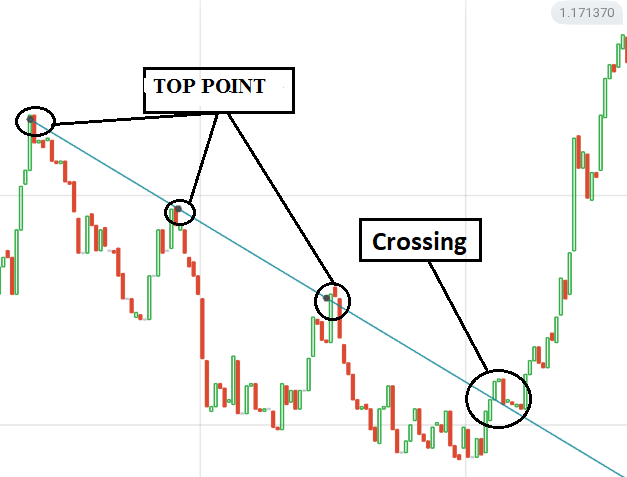 This method is very easy, just by using a trend line which is usually called the trendline. The way is, first we know in advance what trends are happening at this time. Then we will install the trend line by referring to the latest or last valley point at this time. Then we will put a trend line with reference to the latest peak point. And when the trend line is penetrated by the candlestick (full body), then the trend movement is predicted to tend to reverse from the downtrend to an uptrend. Now that's some forex trading techniques in analyzing to determine the trend that will occur or find out about the change in direction of the trend. Hopefully this article can provide benefits for you in starting to learn forex trading. 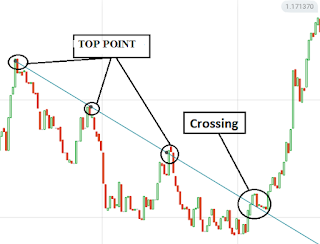 0 Response to "3 Ways to Trade Forex to Know the Reversal of the Trend"